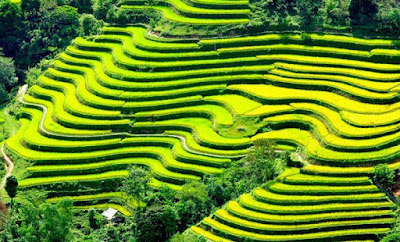 The short trip from Hanoi to Halong Bay is a perfect choice for you to explore the highlights of these attractive destinations in Northern Vietnam. 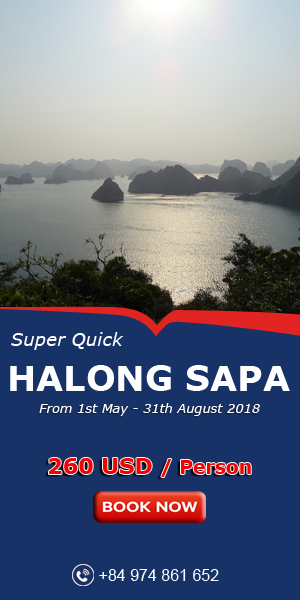 Enjoy your sightseeing tour through the famous cultural spots then cruise around Halong Bay, where beautiful beaches, kayaking opportunities along with its limestone caves and islands are waiting for you! 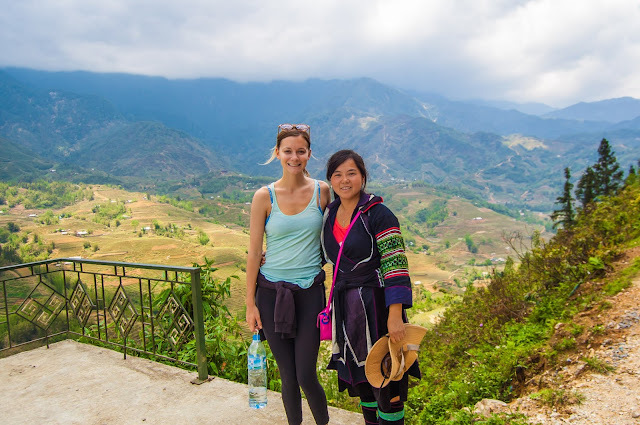 Don’t miss this fascinating short excursion to admire the beauty of Northern Vietnam! 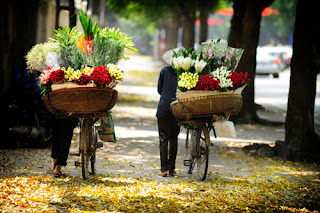 Our guide will pick you up at your hotel in Hanoi at around 8:30 to start a full day city tour. We will start at Ho Chi Minh Complex to visit Ho Chi Minh Mausoleum then Uncle Ho's House and One-Pillar Pagoda - one of the two most iconic temples in Vietnam. 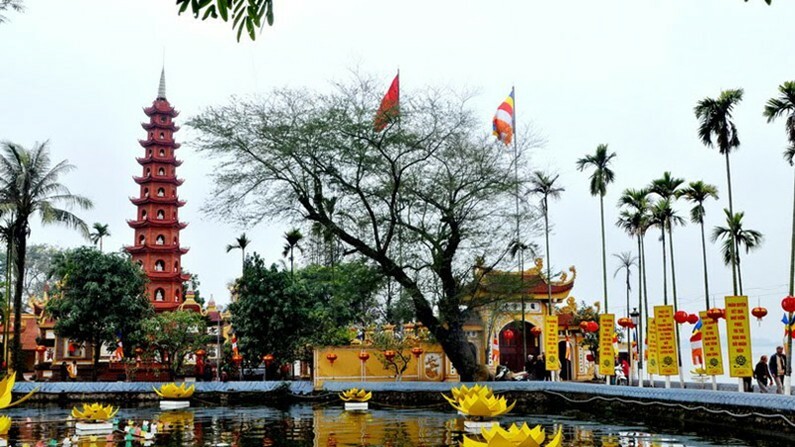 After that, you will spend time visiting Tran Quoc Pagoda located by the dazzling West Lake. 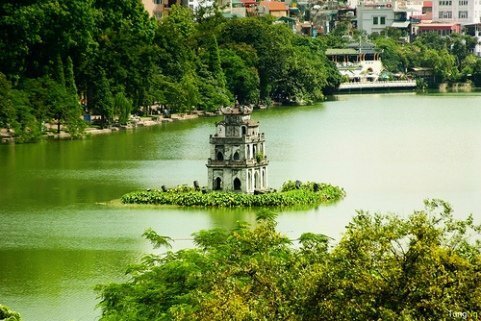 It is one of the picturesque attractions in Hanoi formed by a harmonious architecture taking advantage of the watery landscape. The next attraction in your itinerary is the Temple of Literature (or Văn Miếu in Vietnamese) which reveals the Hanoians’ spirit of study in the past. After that, you will stop for lunch at a local restaurant nearby. Following the short break, we will visit Ngoc Son Temple at Hoan Kiem Lake and listen to the legend related to the lake. Moreover, Hanoi Old Quarter, a must-see destination in Hanoi – will make you surprised with its ancient character in a modern city. You'll next be transferred to enjoy water puppet performance which tells you a great traditional art of Vietnam. 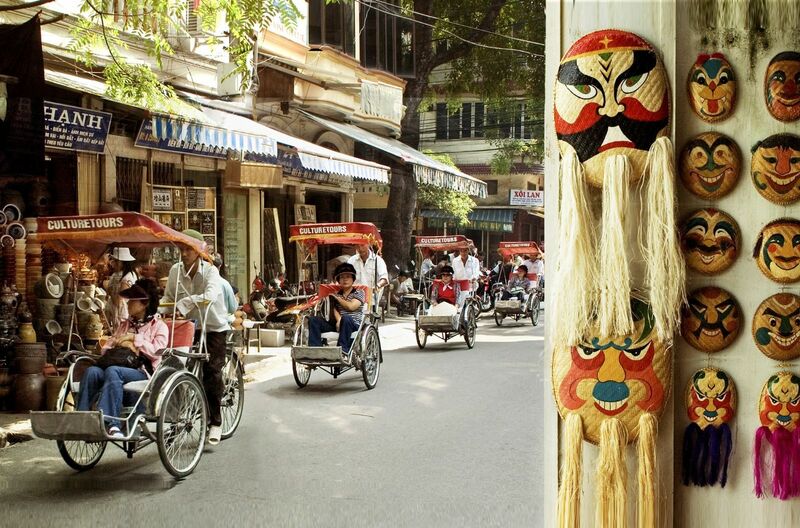 Experience a cup of special coffee while looking down the streets, observing the bustling life of the locals at the late afternoon before ending makes this day trip in Hanoi even more unforgettable. Our guide will pick you up at your hotel in Hanoi at around 8:15 to depart for Halong Bay - the Natural World Heritage of Vietnam. 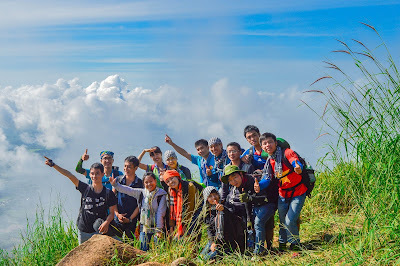 On the way, you will stop at a pottery village to visit and learn about a handicraft village in the countryside as well as to buy/ some beautiful souvenirs for your beloveds as you wish. After a short break, you'll continue the journey to Halong City and board on a wooden junk upon arrival. Now you can enjoy the beautiful landscape with thousands of limestone islands and majestic caves. Also, you will be relaxed by floating on the surface, breathing fresh air and beholding turquoise water. .
A delicious lunch with fresh seafood dishes will be served with natural view background on the boat. 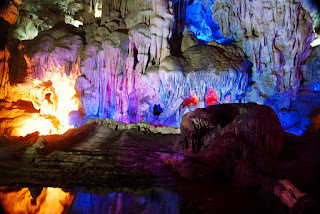 Off the junk, a visit to Thien Cung (Heaven) and then Dau Go (Wooden stick) caves will surprise you with amazing karsts. Be sure to take your camera for some fantastic photos! After all, you'll get back to the main junk and unwind yourself till the harbor. The Halong Bay trip will end in Hanoi at around 19:30. This is a trip by private car and sharing wooden boat. This trip in Hanoi includes temples and pagoda, please DO NOT wear shorts or mini-skirts to show your respect.